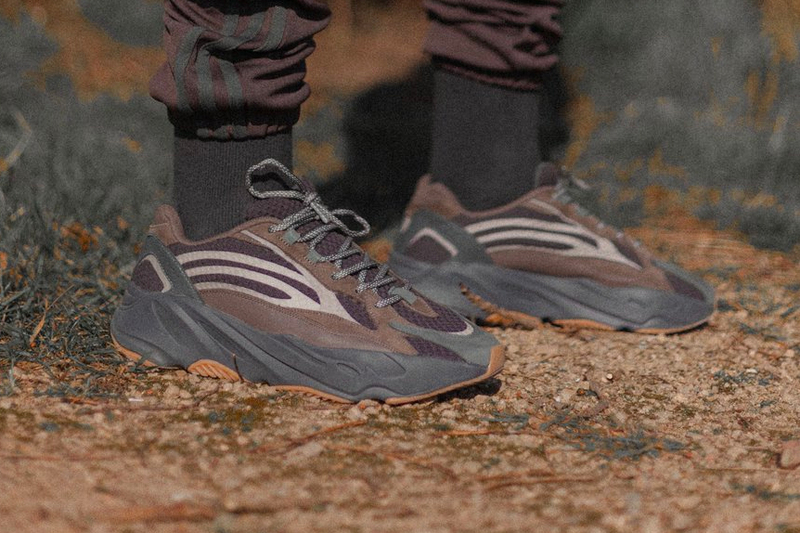 Having teased the forthcoming adidas YEEZY BOOST 700 V2 “Geode” late last year, sneaker insiders Yeezy Mafia have now unveiled a potential release date along with a few on-foot shots of the model. Slated to land next month, the “Geode” colorway features the same suede, mesh and leather upper seen on previous iterations, however this time around dressed in dark tones of grey and beige. Over on the BOOST midsole, dark grey covers its entirety while a gum rubber outsole adds a bit of contrast. Compared to the mockup shared by Yeezy Mafia in December, the YEEZY BOOST 700 V2 “Geode” overall takes on a darker makeup then originally believed. The YEEZY BOOST 700 V2 “Geode” is tentatively set for a March 23 release. Keep it locked here fore more details. In the meantime take a look at the model above courtesy of YM. For more Three Stripes releases, this adidas Dimension Low “Console” takes on a multi-textural approach. He will also be touring with Earl Sweatshirt, Mac DeMarco and others.